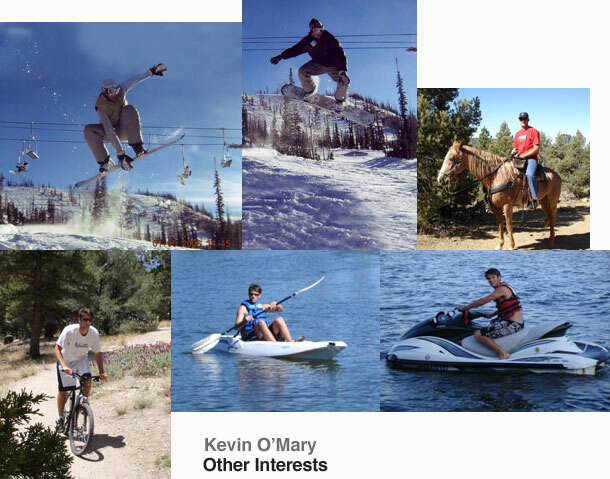 Kevin is active in many sports, including 12 years of soccer, playing at the highest Premier level. His soccer skills on the field helped develop his quick footwork for football, and his experience as keeper improved his hand-eye coordination. Kevin also enjoys baseball, and in his Sophomore year lettered on the Varsity as catcher and at first base. His batting average was 3rd highest on the team (4th highest number of at bats). He has chosen to concentrate on football in his Junior and Senior years.